The Men of Essex which was held on August 8, 2016 and was organized by DLJ Communications Group and has been for the past 25 years. The Men of Essex is one of New Jersey’s oldest African-American charitable organizations dedicated to bettering the lives of residents in the Greater Essex County community. The Men of Essex Golf Classic (“The Classic”) has proudly grown to become one of the most successful and most-anticipated fundraising events of the summer season. With the support of our sponsors and key donors, we have raised over $300,000 through the years, which has assisted in fulfilling our mission of recognizing student-athletes for their achievements and supporting their higher education aspirations via our Student Aid Fund. In addition, our Annual Men of Essex Award Banquet is one of the area’s most renowned events, highlighting some of the state’s top high school scholar-athletes. Several awards are presented on that special evening, with the top award winners being recognized for their academic and athletic performances. In attendance were some of the most influential African-American leadership organizations in the area, with members who range from state and local elected officials, corporate business leaders and successful entrepreneurs. DLJ Communications Group is pleased to represent the world renowned artist Curtis Lundy, securing regular bookings at venues such as “The Roxy” and “The Standard”. From his mother’s mom, Curtis Lundy has experienced the rhythm of music. From a musical family well known in the Miami, Florida area, Lundy has been around music all his life. He was born in 1955 and is brother to Jazz vocalist Carmen Lundy. Lundy is a double bassist, composer, producer, choir director and arranger. Curtis made his debut on the New York jazz seen dating back to 1978. 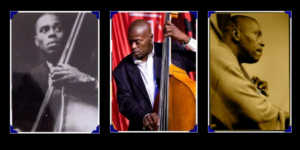 Lundy is best-known for his work as part of jazz vocalist Betty Carter’s band, through who’s ranks several renowned musicians have passed including fellow rhythm section partners drummer Kenny Washington and pianist John Hicks. His appearance on The Audience with Betty Carter – BetCar 1979, bought him instant recognition as a player with ” something special to say”. Curtis Lundy’s arrangement of “Walk With Me”, recorded by the ARC Gospel Choir was sampled by rapper Kanye West and became the Grammy Award-Winning, groundbreaking hit “Jesus Walks”. This arrangement was also sampled in “This Is Why I’m Hot” by Shawn Mims. This prestige event honors the memory of our long serving chairman and his enduring legacy and contributions to the funeral service as the highly distinguished and respected manager at Woody Home for Services. Proceeds from the event benefit the GSFDA Scholarship Fund. Here’s a great chance to have a fun filled day and contribute to a most worthy charity at the same time. The GSFDA scholarship fund provides annual scholarships to support the higher education aspirations of students pursuing a career in the mortuary sciences and the funeral service. Participants represented the leading corporate entities in the funeral industry along with leaders in the corporate, business and civic community. 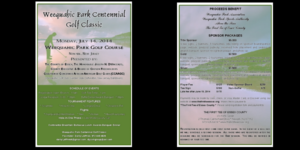 DLJ Communications Group was pleased to facilitate the partnership between Essex County and the Coalition of Concerned African American Golf Clubs (CCAAGC) to present the Weequahic Park Centennial Golf Classic, to celebrate the 100th Anniversary of the Essex County Weequahic Golf Course, the first public course in New Jersey. The proceeds went to benefit the Weequahic Park Association, the Weequahic Sports Authority, Above the Rim and the First Tee of Essex County. The Weequahic Park Centennial Golf Classic was a “destination opportunity” to celebrate the historic milestone and salute Essex County Weequahic Golf Course’s landmark status as part of Essex County Park System – the first County Park System in the nation.